Stockbridge bed and breakfast travel guide for romantic, historic and adventure b&b's. 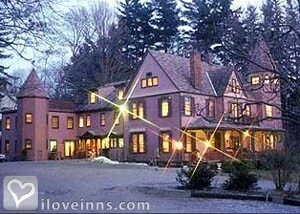 Browse through the iLoveInns.com database of Stockbridge, Massachusetts bed and breakfasts and country inns to find detailed listings that include room rates, special deals and area activities. You can click on the 'check rates and availability' button to contact the innkeeper. Stockbridge in the famed Berkshires in Massachusetts offers theatre at Barrington Stage Company, Robert Boland Theatre, and Berkshire Theatre Festival. Musical performances are held at The Colonial Theatre, Mahaiwe Performing Arts Center, and South Mountain Concerts. For recreational activities in Stockbridge, the Berkshire Horseback Adventures offers horseback riding opportunities in the area. Canterbury Farms and Cranwel are where visitors can cross-country ski. Alternatives include Catamount Jiminy Peak and Ski Butternut. Stockbridge bed and breakfast inns are strategically located in the town. You can stop for a hearty meal at the following recommended restaurants: Alta, Caf� Adam, and Chez Nous. By The Inn at Stockbridge.